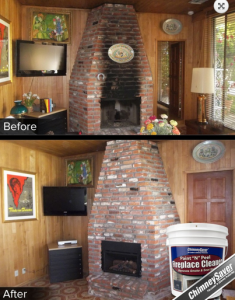 YOUR COMFORT AND SAFETY SPECIALIST AT HOME! 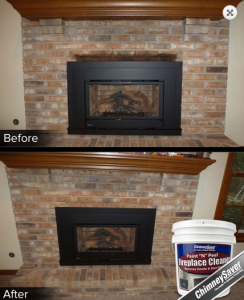 Restore the original appearance of the masonry around your home with this revolutionary new product.The coat of product applied will dry within 6 to 12 hours, resulting in a thick film of non-toxic rubber without any unpleasant odor. 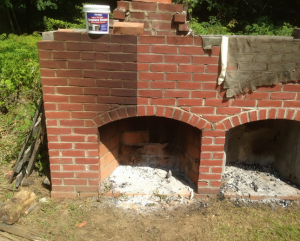 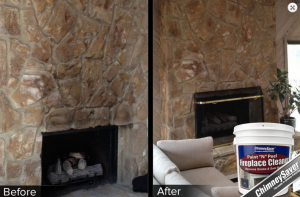 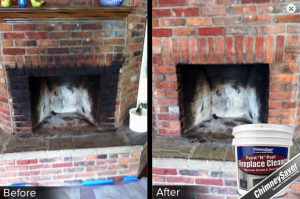 This solution is effortless and gives a uniform clean without damaging the masonry of your fireplace.